North side of CR 44 between CR 127 and CR 31 . On a lane in wooded area. This is the oldest cemetery in Elkhart county. The first burial is believed to be that of a Mrs. Hockert and her infant child, who were buried here in 1828. The graves are unmarked. Also, it is claimed that in 1829, shortly after Col. Jackson and his wife settled here, a family who were migrating farther west, stopped at the Jackson home because of a sick child. They remained at this home for a week, but even though with tender loving care and attention, the child died. The end gate was taken from the Conestoga wagon and a coffin was made for the child. 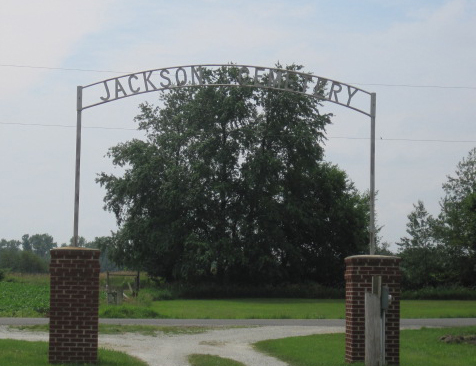 Mrs. Jackson chose the burial place for the child on high ground on the Jackson farm. This family then moved farther west, their destination unknown or the name of the family remembered. It is believed that all three of these graves were marked with field stones only and it is doubtful if these markers remain in place. As other deaths occurred in the community, they too were interred on this plot. There are graves of Walter Denny, a Revoluntionary soldier, soldiers of 1812, of Indiana wars, of the Mexican War, the Civil War, the Spanish-American War and of the World War I, buried in this cemetery. For many years there wee Memorial services held at this cemetery, the first Sunday before Memorial Day, when many distinguished men spoke at these services. 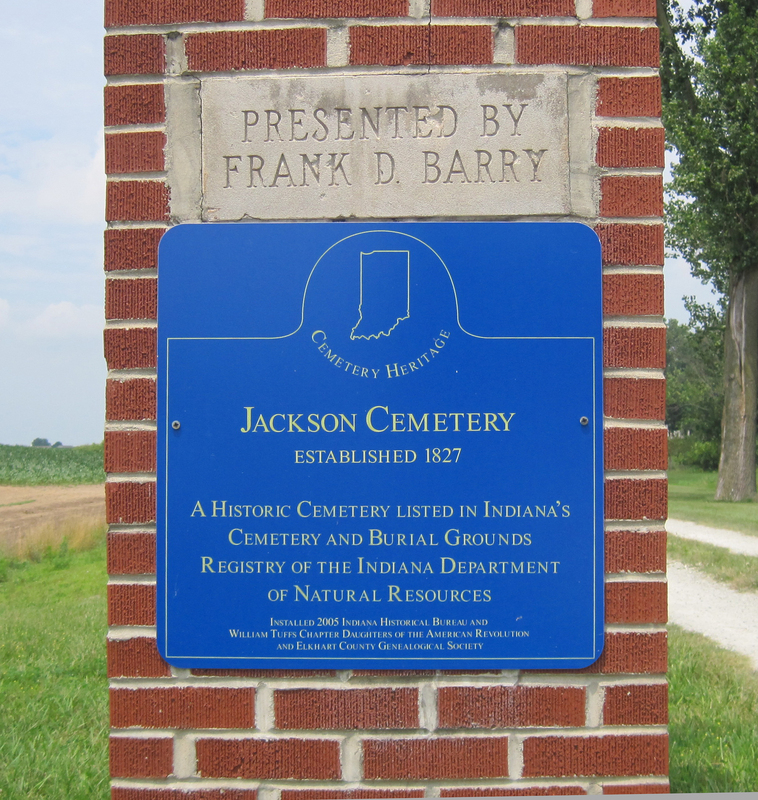 This cemetery is located about 400 ft. north of County Road 44, west of Benton, Indiana. A curved lane or drive takes you to a small knoll. A drive completely boarders the cemetery and has two drives going north to south which makes the main part of the cemetery into three sections. A fourth section lies just to the south and east of the large portion. 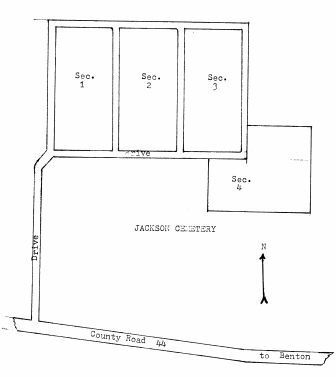 This cemetery was copied by the Elkhart County Genealogical Society on July 17, 1976. Copied starting on the west side in the oldest section, which we called Section One. All graves were copied from south to north and the rows were numbered from the west side of each section going east. Oldest grave marker found, when it was copied, is for Sarah Vail, April 22, 1829, daughter of Jesse D. and Elma C. Vail, in Row 6 in Section One. Copied originally on July 17, 1976 and rechecked in May of 1985.